Instant Pot Shredded Chicken Tacos just earned a permanent spot in my weekly menu planning. These are simple, and totally delicious. I may as well continue on with my current Instant Pot obsession. Just imagine how crazy it is going to get this fall when I do some deep dives into soups, stews, bisques, and chowders. I might need multiple pressure cookers just to keep up. We’ll see, I guess. 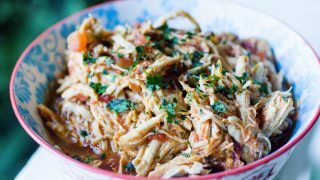 This shredded chicken taco recipe is one of the easiest and tastiest that I’ve tried yet. Don’t be shy on the seasonings here. Anytime I make Mexican food, I break out the Chili Margarita seasoning because it is my FAVORITE. It has lime in it, you guys. Just a touch, but that and the rest of the seasonings and spices really make it something special. Get crazy with it, and don’t skimp on the garlic salt and onion powder either. I LOVE browning stuff right in my instant pot. It is one of my favorite features. It adds so much flavor to the end result of the dish, and you get to keep all of that awesome fond on the bottom of the pan. Also, fewer dishes. Always good. Once the pressure cooking cycle is done you are going to open up the cooker to this. Allll that deliciousness on top there? That’s all cilantro. I cannot get enough of this stuff. 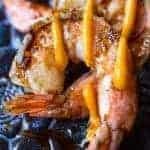 If you like this recipe, you’ll love my easy shrimp scampi pasta, my fresh fettuccini with herbs, and my chicken with cilantro cream sauce too. A quick taco bar is a great weeknight meal for those busy after-work evenings, and this one is perfect for the upcoming school year too. Another great easy recipe for those busy weeknights is this Sarma Cabbage Roll Soup recipe. Check it out! Toss this together after school, go run and do your extracurriculars, and come home to dinner…done. 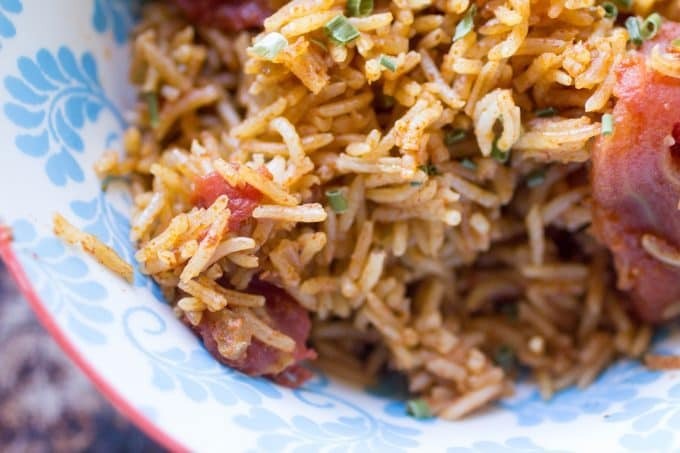 Serve this with my Pressure Cooker Mexican Rice! Quick dinner idea that can even be made from frozen! 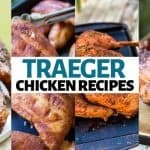 Super flavorful chicken tacos! Place the oil into the bottom of your Instant Pot, and turn on the Saute mode. 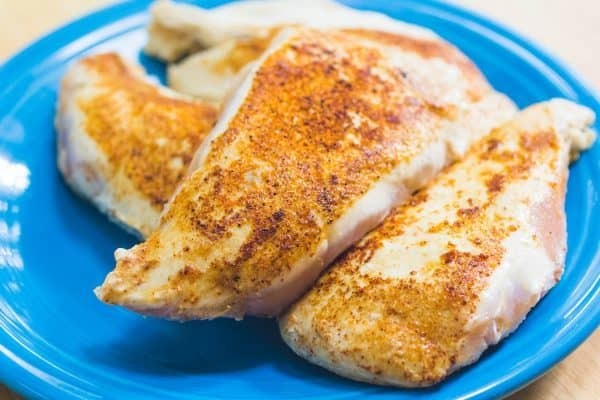 While it is heating, liberally season your chicken breasts with the chili lime seasoning, salt, pepper, garlic salt, and onion powder. Brown the chicken breasts on each side. Once the breasts are browned, remove from the pot and set aside and add the sliced onion in. Saute for 3-4 minutes, stirring frequently. Add in the dry hard cider, diced tomatoes, cilantro, and salsa. Place the chicken into this mixture, replace the lid, and change the function of your pot to Manual and set the timer to 8 minutes. Once the pot is finished, do a quick release of the pressure and remove the chicken from the pot. 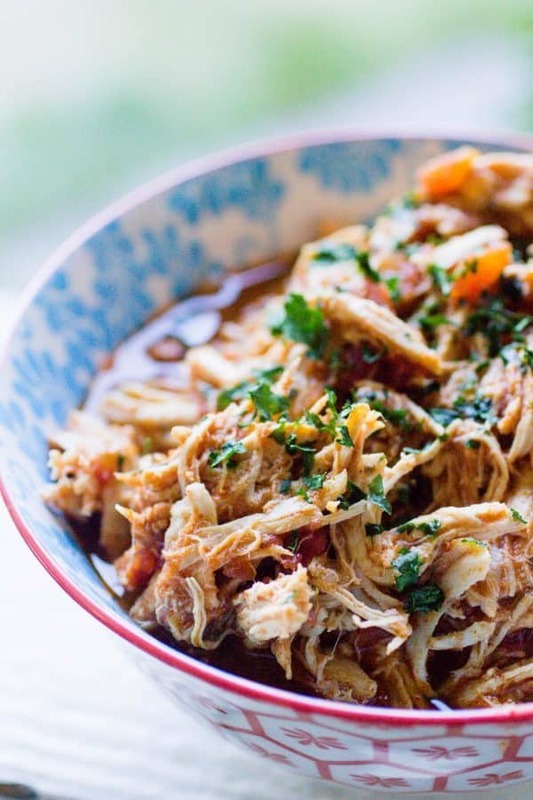 Shred the chicken with two forks, and return to the pot. Turn the pot back to saute, and add in the taco seasoning packet. Stir constantly for 2 minutes until the mixture is slightly thickened. Serve with your favorite taco fixings, and enjoy! If you don't have the Chili Lime Spiceology seasoning, you can substitute taco seasoning for it! 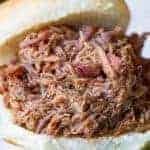 I got a link to your site on facebook Instant Pot group. Just thought I’ let you know that your site is soo full of adds and spam that I could never get to the recipe. Maybe that is something you were not aware of or maybe this is just a bogus site. Hey Carol! I’m sorry you had that experience. I have to run ads in order to cover the costs of running this site, ingredients, and the time it takes to develop, shoot, and post. If I had no ads, I would have no site. However, I purposely choose to run very minimal ads, and no video ads, to keep the user experience great. If you find an ad that is objectionable or is preventing you from getting to the recipe, please use the “Report this ad” button under the ad unit, so I can take care of that. I work very hard on my site and my content, and I’d love for you to enjoy yourself while you are here. Let me know if you have any trouble, and feel free to email me at nicole@orwhateveryoudo.com or message me on my facebook page. Thanks! Umm yes, this is my kind of recipe! I too an in love with my pressure cooker and can’t get enough of if. That margarita seasoning sounds superb and I definitely need to give it a try. YUM! Oh man. That margarita seasoning is my favorite thing, like ever. You have to try it! It is Farmgirl Gourmet’s company, and she and her partner are knocking it out of the park! 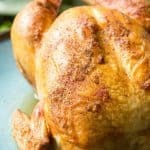 This chicken is fantastic!!! 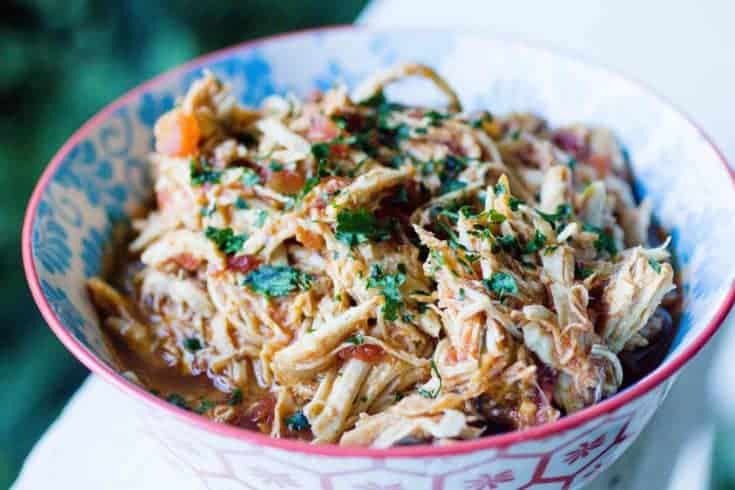 I just bought myself an Instant Pot and am bringing the fixings for shredded chicken street tacos to an early Christmas celebration this weekend, and I decided to try your recipe after doing a search on Pinterest. I made it a day early in case it wasn’t to my liking, but that is not the case at all! Quite the contrary! This stuff is amazing and I will definitely be making it again and again and again…thanks for an awesome recipe!!! Thank you so much!! It is one of my absolutely favorites. I appreciate you taking the time to stop by and let me know! Happy cooking! These were delicious, thanks for the recipe! I didn’t know what “dry hard cider” was, so I substituted apple cider and it gave the chicken a great sweet note to balance out all the spice. Will definitely be making these again and again! Hey Kara! Dry hard cider is like apple cider beer. 😉 Like wine, some are sweet and some are dry. I love your regular apple cider substitution! So glad it worked out and you enjoyed it. This is one of my favorite recipes. I made it last night, in fact! 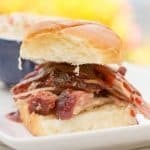 Thank you so much for posting this recipe!! 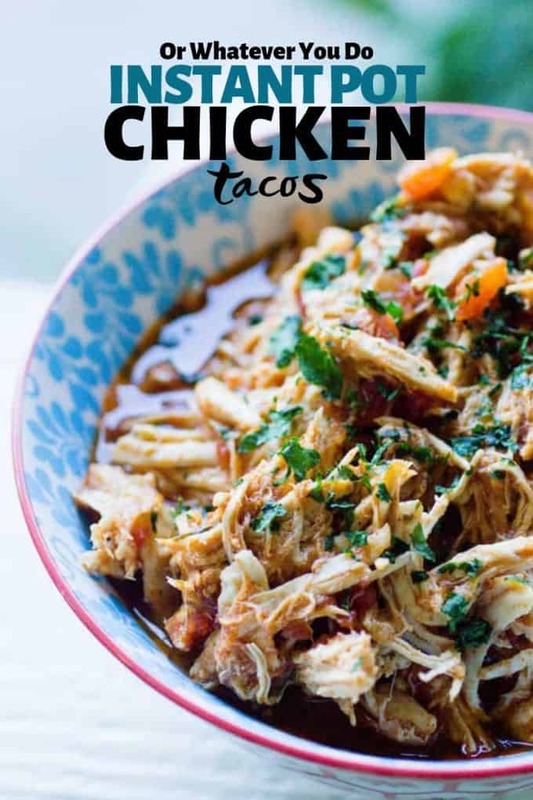 I just received an Instant Pot for Christmas and one of my daughters asked me to cook “Chicken Street Tacos”. I was like, “Ummmmm……. okay?? ?” And then I found this recipe! The steps were clear, easy to follow and I appreciate that there were pictures too – who doesn’t like looking at beautiful food?! And the fact that this recipe called for Hard Apple Cider was no problem…. I always have THAT around!! Ha!! Hey Melinda! That’s fabulous! Thanks so much for taking the time to come back and let me know. I’m so glad you enjoyed the recipe and the post and photos! <3 Let me know if you make anything else here, and how you like it! Happy cooking! Hi! Can’t wait to try this recipe. But, I am confused as to how the Chili Margarita seasoning fits into the recipe. I don’t see it there and it sounds delicious. Thanks! The seasoning is optional, so I didn’t include it in the ingredient list. I changed it now though, because I can see how that might be confusing! Thanks for commenting! Should I add the chilli lime seasoning in the sauté mode or after that? 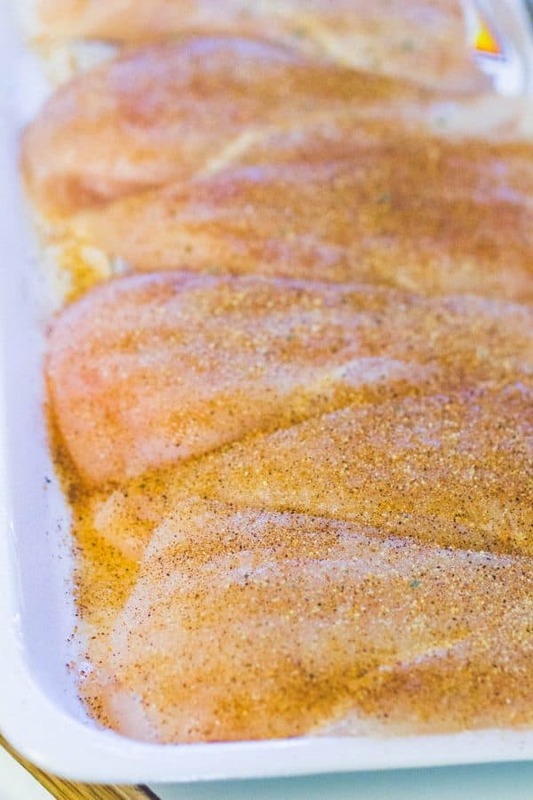 That’s when I add it – along with the salt, pepper, garlic salt, and onion powder. I too didn’t know what the Hard cider was, so I used apple cider vinegar…then read the comments…and added a half of a beer. Tasted better after the beer! 😀 Yeah, I’d imagine the vinegar would be a bit much! I’m glad it was salvaged by the beer! 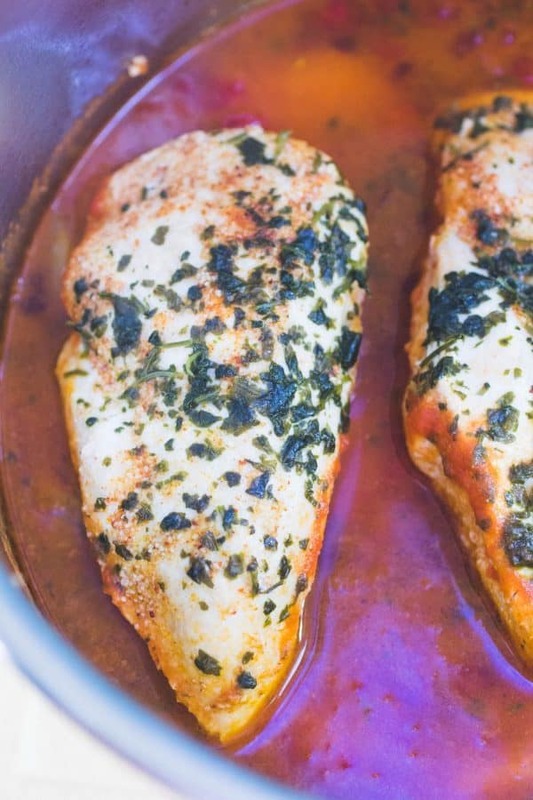 Frozen or thawed chicken breasts? Unless otherwise specified, the recipes will be thawed meat. That being said, the IP is very forgiving. If you throw in frozen breasts I’d just add a minute or two onto the cook time and go to town. Let me know how it goes! 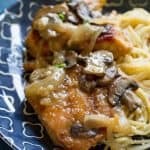 How much time should I do if using boneless skinless chicken thighs? I haven’t used chicken thighs for this, so I’m not exactly sure. I’d start with the normal amount of time listed, and check at the end to make sure it is cooked all the way and is shreddable. Let me know how it goes! If I don’t have hard cider, what can I substitute with? Cooking this tonight so I would so appreciate a quick response! Thank you! Apple juice or chicken broth would work well! I emailed you yesterday as well. Hope you got it! You sure can! It shouldn’t increase the cook time unless the chicken is all frozen in a big block.